Tri-fold men's dopp bag, designed for the traveler. 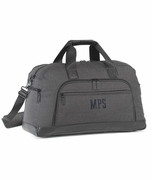 Quality constructed washed canvas tri-fold men's hanging dopp bag for gym or travel. 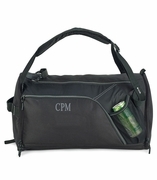 Styled with easy access keeping all toiletry items, shaving gear, shampoo, lotion etc.. in a compact bag. Interior features include a large zipper compartment 10.5" x 5.5", two velcro pockets 10.5" x 6" and an outside zip pocket on the back when folded. Sturdy hook for hanging. Choose from three popular colors, denim, chestnut or gray. 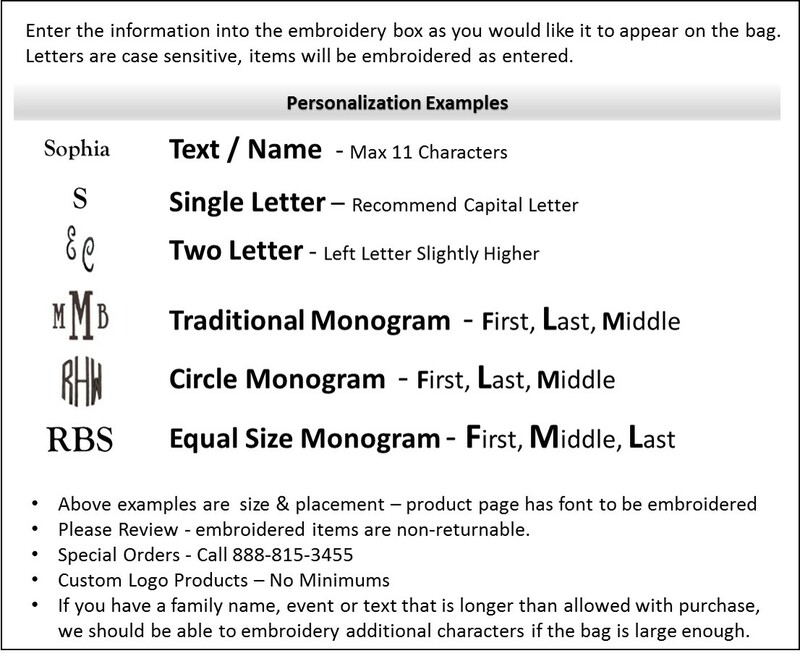 Includes a classic monogram in choice of thread colors. 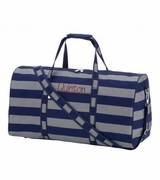 Matching duffle bag available, search item OM-DUFBL or messenger bag item OM-WCMS. Tri-fold men's dopp bag measures 12"W x 20" opened and 12"W x 8" closed.